Like driving a car despite a glowing check-engine light, large buildings often chug along without maintenance being performed on the building controls designed to keep them running smoothly. And sometimes those controls aren't used to their full potential, similar to a car at high speed in first gear. Instead of an expensive visit to the mechanic, the result for a commercial building is a high power bill. A new report finds that if commercial buildings fully used controls nationwide, the U.S. could slash its energy consumption by the equivalent of what is currently used by 12 to 15 million Americans. The report examines how 34 different energy efficiency measures, most of which rely on various building controls, could affect energy use in commercial buildings such as stores, offices and schools. Researchers at the Department of Energy's Pacific Northwest National Laboratory found the measures could cut annual commercial building energy use by an average of 29 percent. This would result in between 4 to 5 quadrillion British Thermal Units in national energy savings, which is about 4 to 5 percent of the energy consumed nationwide. 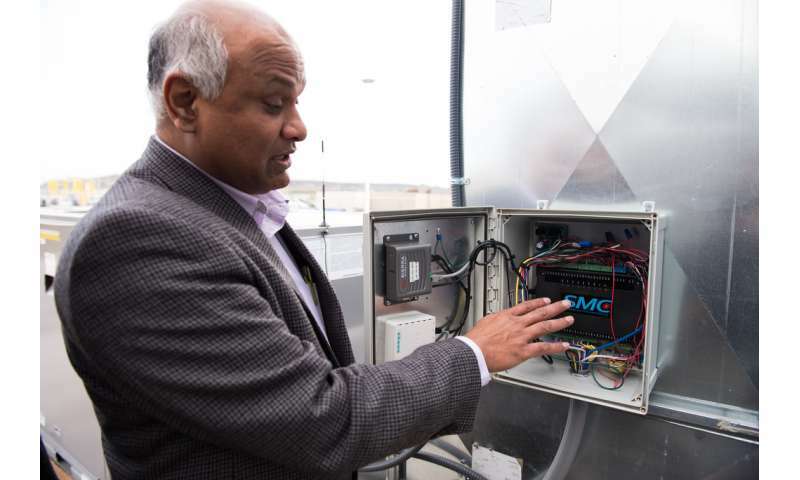 "Most large commercial buildings are already equipped with building automation systems that deploy controls to manage building energy use," said report co-author and PNNL engineer Srinivas Katipamula. "But those controls often aren't properly programmed and are allowed to deteriorate over time, creating unnecessarily large power bills. 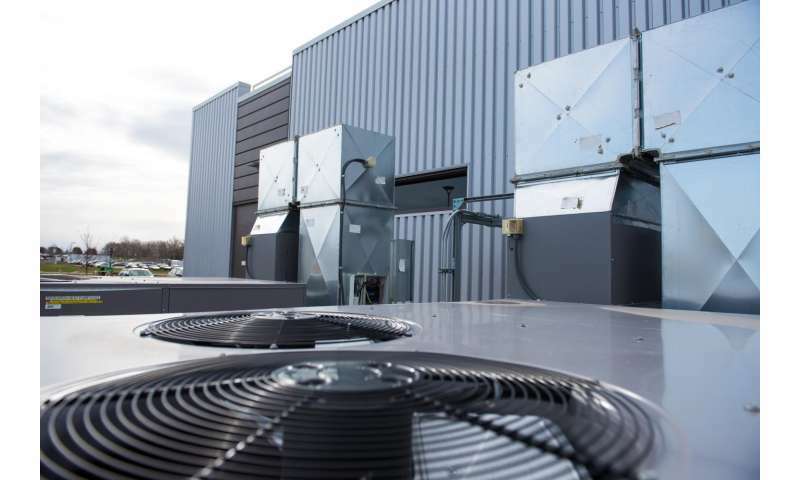 "Our research found significant nationwide energy savings are possible if all U.S. commercial building owners periodically looked for and corrected operational problems such as air-conditioning systems running too long." The report offers the first detailed, national benefit analysis of multiple energy efficiency measures to address building operational problems. Many of these problems can be corrected with very little effort. Unlike other practices that require expensive new technologies, most of the measures evaluated improve energy efficiency by enabling already-installed equipment to work better. Roughly 20 percent of America's total energy use goes toward powering commercial buildings. And about 15 percent of U.S. commercial buildings have building automation systems that deploy controls, such as sensors that turn on lights or heating a room only when it's occupied. As a result, helping commercial buildings better use their controls could profoundly slash America's overall energy consumption. Because combining individual measures can increase energy savings, the researchers also estimated the impacts of packaging energy efficiency measures together. PNNL designed packages of combined measures based on the needs of three different building conditions: buildings already efficient and with little room for improvement, inefficient buildings with a lot of room for improvement, and typical buildings in the middle. PNNL used computer models of nine prototypical commercial buildings, and extrapolated them to represent five other, similar buildings so it could evaluate energy use in a total of 14 building types. The research team used these prototypical building models with DOE's EnergyPlus building software, which calculated potential energy use given local weather and whichever energy efficiency measures were applied.